Spray Masters has had many members continue on to other amateur or pro teams. Brad Shea – Has skied professional in the USA, Germany, Guyana, Malaysia, and Japan. Brendan Kirchner – Skied on The University of Michigan’s ski team from 2008-2011. Logan Lawson – Skied for Arizona State Ski Team. He helped them to an overall 3rd place finish in the 2010 Collegiate Nationals competition. Gary and Lindsey Geer – They have skied with the Rock Aqua Jays and are currently skiing with the Beaverland Must-Skis with their 5 daughters. Both teams are out of Wisconsin. They have performed with both teams at the Wisconsin State Competition and at the Division 1 Show Ski Nationals Competition. They won the 2014 Wisconsin State Adagio Doubles Individual Competition. They have competed in the Division 1 Nationals Adagio Doubles Individual Competition placing, 8th-1999, 1st-2005, 2nd-2006, 8th-2007, 1st-2008, 2nd-2012 and 2nd-2014. In 2014 they were also part of the USA Water-ski Team that headed to China to perform multiple shows. Paul O’Connor – Has skied in professional shows in California, China, Germany and Wisconsin. Upon returning to the U.S after skiing professionally he skied with the Mad City Ski Team in Wisconsin. He won the Skip Gilkerson award for Best Male Skier at the Division 1 Show Ski Nationals Competition in 2007 and 2009. He won the Jack Luke’s award in 2008. He helped Mad City Ski Team to two 1st place finishes in the 2008 and 2009 Division 1 Show Ski Nationals. He also took 1st place in the Division 1 Nationals Freestyle Jump Individual Competition in 2009. He has helped the Mad City Jump Team to a 1st place finish in 2006, and a 2nd place finish in 2008 at the Division 1 National Team Jump Individual Competition. He was part of the 2012 USA World Show Ski Team and helped them to take 1st place. 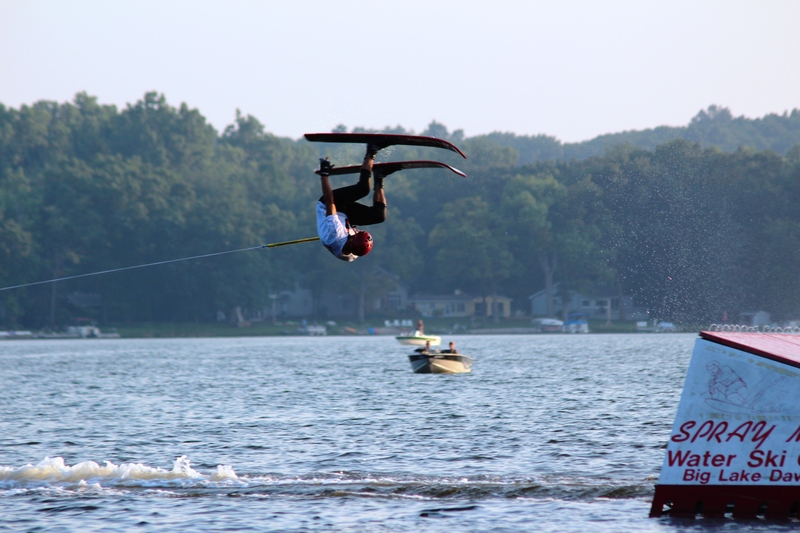 He is currently skiing part time for Cypress Gardens Water Ski Team with his family when he is not doing stunt work for various TV shows and movies. Kelle’Ann Carion-Parr – Has skied professionally throughout the U.S.
Haleigh Orr – Skied for the Grand Valley State University Ski Team. She helped them to qualify for the 2014 Collegiate National competition. Jamie Reis – Skied for the Michigan State University Ski Team 1998-2001. She helped her team compete at the collegiate nationals in 1999 in Lafeyette LA, 2000 in Sacramento CA, and 2001 in Tempe AZ. She also competed on the all star jump team in North Carolina in 1999. Which she competed in all 3 events while there.